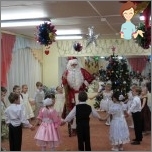 How to prepare and organize a Christmas party in the kindergarten? 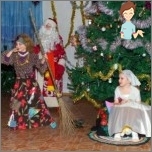 Home / Children / Christmas party in kindergarten - how to prepare for the New Year in the garden? Christmas party in kindergarten - how to prepare for the New Year in the garden? New Year - this is a miracle, which we all look forward to, especially if only a few days remain before the holiday. Many of us memories of the Christmas party in kindergarten associated with an infinite cutting out snowflakes, advent Santa Claus and the Snow Maiden, fancy dress Christmas tree and, of course, presents. 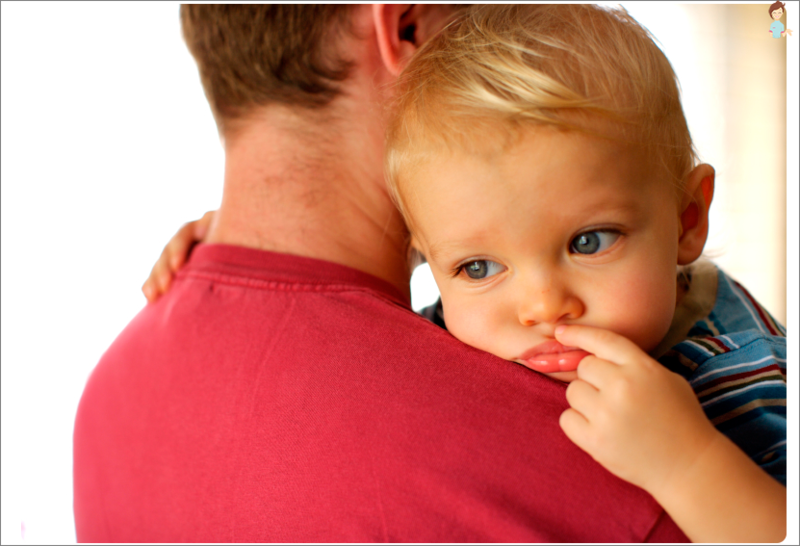 Do not worry, your toddler waiting for New Year's miracle in the same way as you used to be! What kind of gifts to give children in kindergarten on New Year's Eve? Together with fabulous Christmas party participants Kids are transferred to the world of fairy talesFilled with magic, competitions, fungames, dancing and prizes. Before the feast of children with their mothers preparing fabulous Christmas costumes, and with caregivers learn poems, songs and dances. How to make a suit Snow Maiden with their hands? New Year in kindergarten is very important to be organized so that children are not disappointed in their expectations. 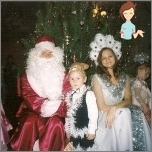 Therefore, be sure to create an aura of miracleThat will stay with the kids for a lifetime, keep secret the wonderful Santa ClausWhich is very hurry at the matinee, to give the children a story, Happy New Year and, of course, give gifts. Preparing for a matinee in kindergarten must begin long before the New Year. Parental Committee should discuss in advance the solution of many difficult problems. Do not delay their selection and purchase later. Buy gifts babies in advance. Management does not the fact that it is like a gift to you, and by how much, and emotions he will bring kids. New Year gift to the children's matinee should be a surprise, children should not know about it in advance. necessarily will obey the ritual of gift givingBecause the New Year has to turn children currently winter magic. No need to dissuade kids the existence of Santa Claus. 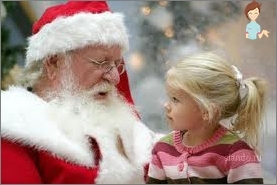 Great would be if he will present gifts to children Santa Claus. 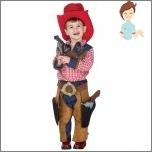 Gifts for children up to 3 years? The ability to use a variety of toys for role playing games. puzzles, Fewer children better than large wooden, older children - cardboard. Various designers or versatile option - a wooden building set. Toys created by the author developing techniques. At this age, many of them will bring great benefit to the child. If you do decide to give the dolls, then let it be dollsThat kids will have to collect their own hands. Set Russian folk wooden toysFor example, pipes, cigarette butts walking,pelenashki traditional dolls, wooden utensils by hand. Such toys like kids much more than plastic, and have a greater developmental potential. 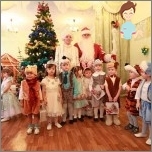 Gifts for children 4-6 years old on New Year's morning in the kindergarten? "Clever toy"Which can be assembled, disassembled, turn-off, press and spread - it develops motor skills of hands, coordinate movements and thought processes. Constructor "Lego""transformers"Children a laptop or baby piano. jar plasticine. markers. Finger paint, a variety of painting sets etc. - Obligatory gift for girls. For all the kids that age are suitable as a gift books. They are especially important for children, who will soon go to school. In addition to traditional gifts, you can give the kids tickets to the circus, a zoo or a puppet theater. 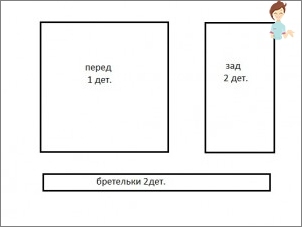 Which scenario selected for the New Year's holiday in kindergarten? The script for the matinee you will need to select or create in advance. 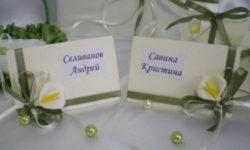 If you decide to register in the form of a fairy tale scenario, It refers to the separation of roles between the children. Great would be if some roles to play one of the parents. Each of the heroes I had to learn the words and verses, Remember the order of the scenes. You can select and another variant: A concert, where they will attendeducators and parents children. The dance numbers and may include such a program, and humorous skits and poetry readings kids, etc. concert scenario in this case is most often develop educators. How to decorate the group? An important step in preparation for the New Year's holiday - it decoration group. Of course, it is difficult to imagine New Year without a live Christmas tree. However, in younger groups to put the Christmas tree and decorate it must be careful to eliminate the possibility of injury to children. For Christmas tree ornaments better not to use glass toys, and paper or plastic balls, Shiny tinsel and rain. also you can hang colorful decorations that create a festive mood on the walls and ceiling in the group. 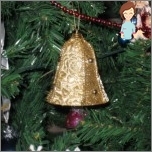 In addition, the decorations for the group, you can make together with your child. White and colored snowflakesFor which you have with your child choose their own form and patterns. And at the same time during manufacture snowflakes You can teach your toddler to cut them out of plain paper or napkins. 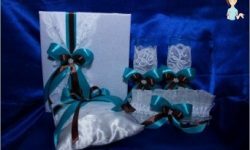 For the production of which can be cut into pieces of an old colored cloth (dress, shirt), then cut out pieces of tissue boxes, and then strung them on a string. SerpentineMade with their own hands. First, cut out of colored paper thin strips, and then merge them into one whole tape, which was then wrap on a pen or pencil and attach one end of the adhesive tape. When all the tape is wound, remove the pencil. Get one roll of coiled serpentine improvised. Make them as long as necessary. Gifts for teachers for the New Year? And, of course, do not forget about nice Christmas gifts for teachersThat a lot of time paying your educationbaby. A gift does not have to be expensive, the main thing - it's the memory of the children and spent time with them. For some, the increase to the salary, presented in a beautiful New Year's envelope, seems almost an insult, but in the distant regions and villages such surprise could be the most coveted and desired gift. Very popular original gifts made by children. For example, Christmas balls painted with the kids. On sale is a set of plain unpainted balls for just such purposes. You can donate colorful bookMade in the art scrapbooking, whereinThey will illustrate the most striking events in the group over the past year, with photos, funny clippings from magazines, drawings of children and parents comments. Recently, very popular grocery cart Champagne, a jar of caviar, a box of chocolates,fruit. Such gifts are not exactly disappear and not zalezhatsya. Feedback from educators, best remembered basket of a variety of fruits. Probably because of the bright colors and aromas that carry a piece of summer and sunshine. Another option - to teach the teachers the certificate for a certain amount in the cosmetics store. Such a surprise to nothing obliges - caregiver can buy cosmetics to his liking. And, of course, do not forget about such classics as bouquet of flowers or live flower in a pot. Sweet gifts for children - an integral part of the New Year in kindergarten. Let your "Sweet" surprise It consists of 80% fruit. Wrap vegetables in bright wrappers like candy, and children just love this idea. if you highlight "sweet table" will become cake. It is better to order, because any product that came in kindergarten, you must have a certificate. Therefore, self-made cake is not quite appropriate. And you can arrange a dessert as you wish, original and beautiful. For example, to supplement it with inscriptions of names of children and teachers, called kindergarten or group. And finally, the last, and no small problem with which you encounter while preparing for a Christmas party - it is a choice of festive costume for your crumbs. It is perhaps the most popular and coveted imageamong girls. If you decide to create it baby, it relies primarily on the character of the girl. 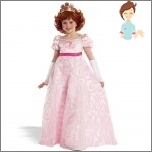 You can create an image of a mischievous princess - freckles and tousled hair with an elegant dress will be very unusual; but romantic dress pastel tones and obedient curls - for delicate princess. Think about the enthusiasm daughter: if she likes to play in the hospital - make it fun doctorIf he likes to dance - Arabian princessIf playing boyish games - create her image little cowboy. And if your baby does not differ by good behavior and gentle disposition, and her favorite book - "Little Witch"? Create a costume for her witch. If the son - warrior: sword; if cowboy: gun and hat, if knight: helmet, sword and chain mail, and maybe even a great lady - my mother. 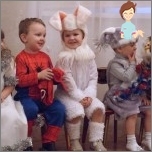 If the boy chose the favorite the hero of a fairy tale or mimics the Pope, In any case, think through to the baby was comfortable in a suit - Boys do not only dance, sing and recite poems to Santa Claus, but even running around, playing. 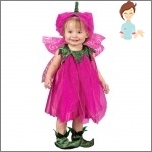 In the meantime, some mothers go to the store and buyready carnival costume, others sit at the sewing machine. 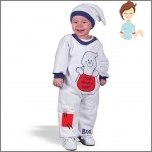 After all, New Year's costume for a child, made by hand, can be much more original and exclusive than the purchase. 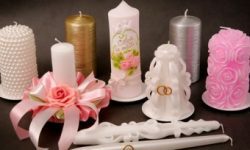 We present to you two of the master class, with which you can create for your little fairy and the good image of the New Year. 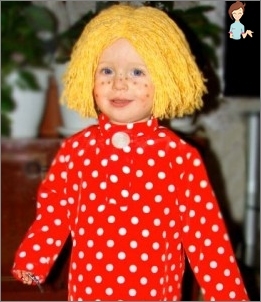 Children's Christmas costume "Brownie Kuzma"
Suit "Brownie Kuzma" consists of three self-made objects and dense white pantyhose. Shirt you can sew the pattern at any elementary. Sew to the jacket collar-rack and planochki a single button as fasteners. 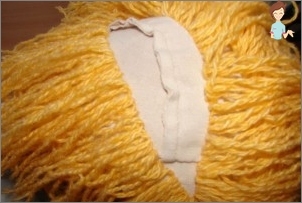 Sew knitted hat or take a ready (summer bandana can be used). 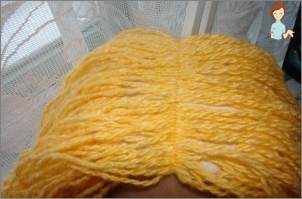 On the cap starting from the bottom, nasheyte yarn in two layers, distributing it to the left and right. Lapti need to weave of piping, bought inshop. Take your toddler sandals. On the sole of sandals on clothesline pull gum. 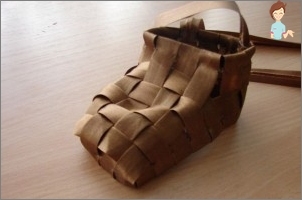 The second elastic clips for secure fastening on the ankle. Then, setting the stage for gum edge inlay, fix Bakey thread. First sew inlay at the heel, and then the front, twisting them together to get the bast. At the end of the back stitch at the heel straps. Suit snowflakes, probably, is the most popular among babies. First, let's define once, which shall consist of a suit? Of course, it's shoes, crown and gown. We begin to sew a skirt. 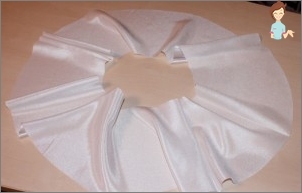 Kroim of crepe satin skirt "sun- flared" - isnormal tissue a circle with a hole for the waist. In order to carve out the sun, you need to fold the fabric four times. We determine the radius of the belt line - a 20 cm (this is enough for a girl of any age). 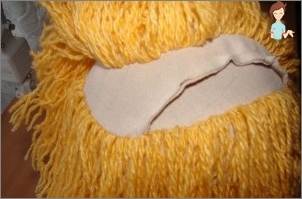 Skirt length - 20 cm, and add an additional 2 cm for pritachivaniya to the belt and the bottom hem. 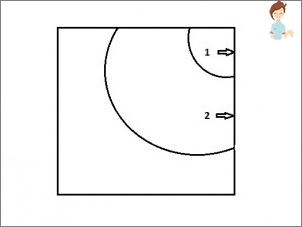 Note just two main lines - the waistline (№ 1 in the diagram) and the bottom line (№ 2 in the diagram). Tailored skirt and got the sun without seams. Now, we folded the bottom. 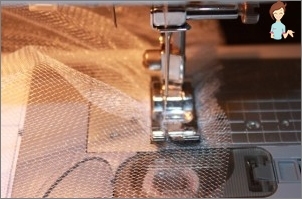 The two-meter tulle add up to 4 times - somuch more convenient. Notes the length of the lower layer - it you have 20 cm + 2 cm for pritachivaniya to his belt. 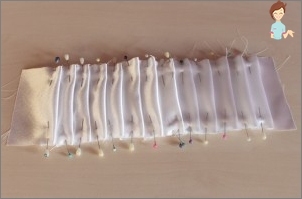 Then cut two strips that need to sew together (got a rectangle 22 cm long and 4 cm wide). 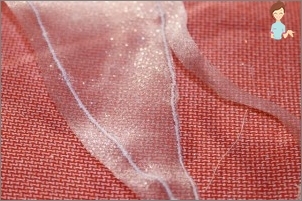 Similarly kroim following layer and two 20 cm long and 18 cm. Now we have all the details for future skirts. 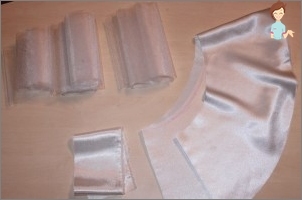 Putting skirt. 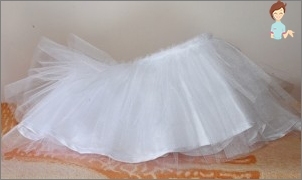 All rectangles of tulle you fit in one of the long sides. 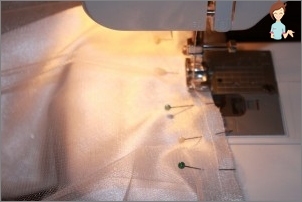 This can be done either by using a special sewing machine and foot or a normal foot, setting the highest thread tension for the sewing machine and the largest stitch. All this can be done manually. 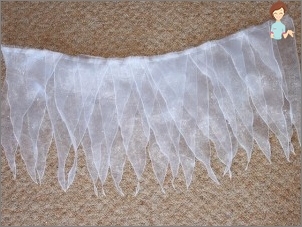 All layers of tulle sewn together and position them as the longest lower tier, medium - shorter and the shortest - the top. 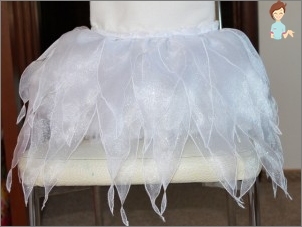 Then sew up the tiers of tulle for the skirt. At this stage to suspend. The skirt, of course, turned out nice and fluffy, but it looks quite simply. Therefore, from the elegant organza need to carve out isosceles triangles in two sizes: 35 cm high and 15 cm basis, and 25 cm high and 15 cm basis. 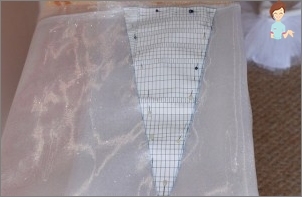 And now we go to the most time-consuming andlong process - processed each triangle with all sides overlock (if you overlock not, then sew along the perimeter of triangles zigzag stitch, and then the excess fabric neatly cut close to the line). Then collect all the triangles - below the big and small on top. Sew the triangles to the skirt. Top dress - A simple halter straps and a zipper. Vykroyte top under the scheme. Top stamp is decorated with an accordion. Sew accordion to topu. Finally, connect the top and bottom of the dress. shoe snowflakes - A simple white Gym shoes, decorated with pieces of boa. 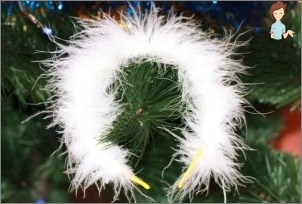 Crown snowflakes - Hoop that you wind white boa. All! Suit snowflakes ready - it's time for New Year's ball! This is only the most basic recommendations on how to prepare and organize the New Year's holiday in kindergarten. However, adhering to them, you can save his precious timeWhich is better to spend with family and loved ones in anticipation of the New Year, rather than hurriedly rush to shop, not knowing what to buy. We think you will be interested to know what impressions left a Christmas party in children of parents in different kindergartens. My son attends the middle group, and I'm the chairman ofthe parent committee. As it turned out in practice to pick up gifts to teachers so that all were satisfied, it is difficult. In the New Year we gave them unusual clay pots. After the holiday, it was terribly frustrating to get from one of the educators and the gift back to the claims. Now there is a serious question - what they give to the March Eighth to not reattached. Maybe we should just go and just ask what they would like to receive as a gift? And we bought a gift to teachers in high qualityplaids and flowers. Children - Children's Encyclopedia, plus sweets, plus bulb. Head - coffeemaker, garden - wall bars. Another shot at the holiday videos and photos. matinee himself prepared teachers - it was very interesting. And in the end the parents read to Christmas poems, greetings, and then presented gifts to teachers. Cheap and cheerful. 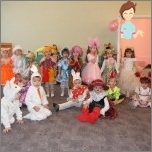 In our kindergarten matinees are always preparedmusic executives and educators - funny and theatrical. Assembly Hall, and the group is also decorated with educators and employees of Dow. Active and interested parents help on request. As for gifts to teachers - we choose to your taste, so that the gift could always come in handy, and not lie or peredarivat. This year we decided to give our teachers certificates for the purchase of gold ornaments, because they are, above all, women, and the group will remember for a long time. 2. Educators cookware sets and bouquets. Plus on the sweet table pastries, juice, fruit. I bought on their own initiative even children diplomas and balls. Well, that's sort of - very modestly, of course ... But we have a lot of families with very low incomes. The cooks and nannies also definitely need to somehowMark. We are on the New Year gave them flowers and candy. The garden is small and we are all workers know, and they know all of our children, grannies are good. Candy - this is, of course, a trifle, but still it is probably nice, after all, not the first year to feed and care for our children. 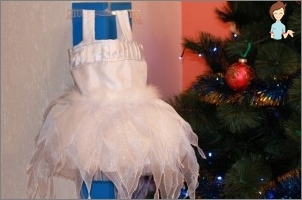 Make a New Year's suit Snow Maiden for a daughter with his own hands!